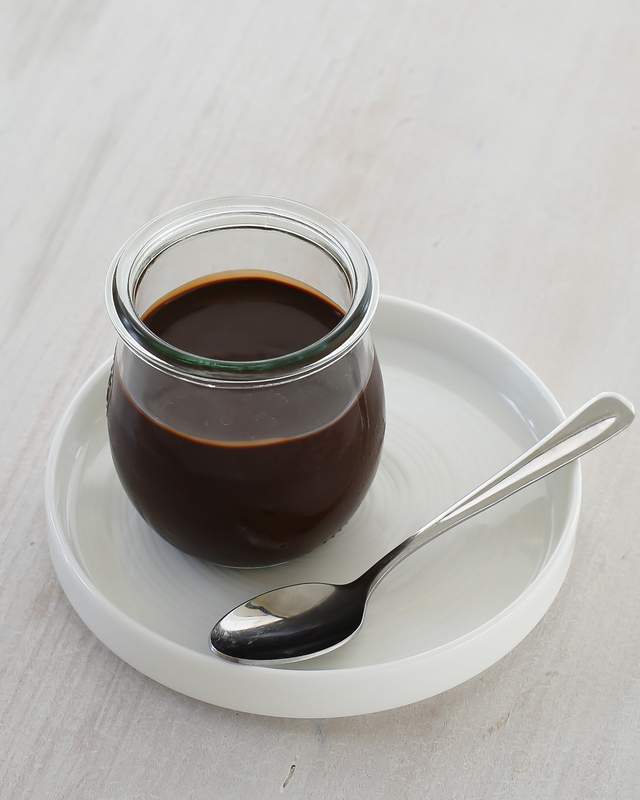 I am sure I don’t need to convince you how wonderful chocolate sauce is but have you ever made it yourself? It’s surprising easy and quick to make and, of course, tastes far better than store-bought. The recipe below comes from David Lebovitz’s ice cream bible The Perfect Scoop. It makes a fairly large quantity of sauce, however it keeps in the fridge for up to two weeks and if you are a regular ice cream eater then this quantity is just about right. I have tried the recipe with both light corn syrup (as listed in the original recipe) and golden syrup. The golden syrup made for a noticeably sweeter and thicker sauce. Despite being sweeter it had a much better flavour so I would recommend using golden syrup for this recipe if you can find it. Chocolate sauce is the perfect accompaniment to your favourite ice cream. Take it a step further by topping it with toasted flaked almonds or crumbled biscuits, perhaps even marshmallows or a cherry. I made some lovely Italian Almond Italian biscuits for this sundae. The are so simple to make! 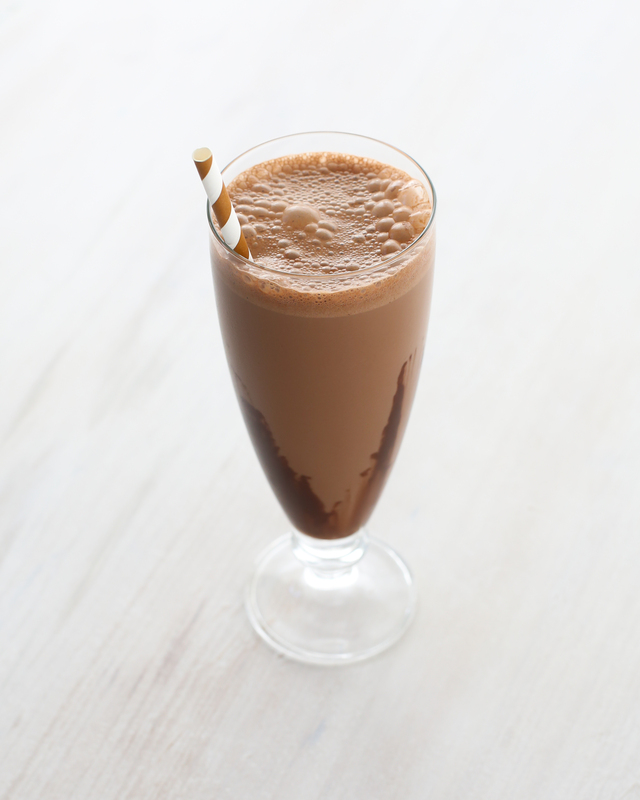 I also made a simple milkshake using 1.5 cups milk with 3 tbsp chocolate sauce. 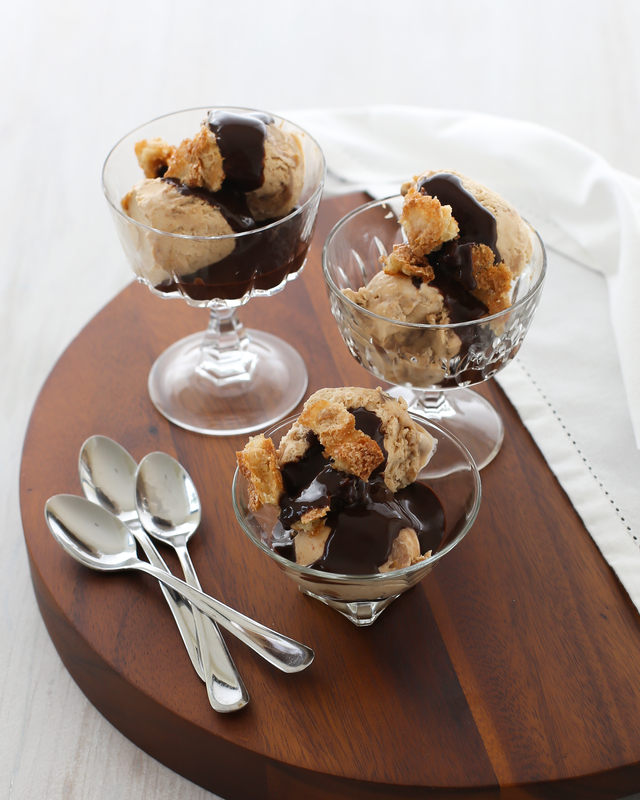 Why not luxe it up with a scoop of ice cream, maybe some rum or coffee liqueur, or top with whipped cream. I haven’t tried the sauce with cake but I’m sure that would be wonderful too! How do you enjoy chocolate sauce? Adapted from David Lebovitz’s book The Perfect Scoop. Place the water, cocoa and syrup in a saucepan; whisk to blend and bring to the boil. Simmer and stir for three minutes. Remove the saucepan from the heat. Add the chocolate and stir until the chocolate has completely melted. Serve warm or cold. Store in the fridge for up to two weeks. Posted in Sweet SaucesTagged chocolate, dairy free, egg free, gluten free, sauce, veganBookmark the permalink.